J.L. Nehru, who is often credited to be the father of Indian foreign policy, believed that India’s strength of diplomacy lied in its culture and moral high ground rather than military and economic hard power. Though so believed, India’s soft power is hugely untapped until now. This comes as a setback in contemporary times when China with not only the soft power of Panda Diplomacy but the hard power of One Belt One Road and Pearl of String Initiative is spearing ahead in its ambitions of being global super power. This debate over soft and hard power in India has again caught attention after the success of Indian diplomacy in Seychelles and continuous failure in the Maldives. These two terms came into existence only after Joseph Nye, a famous American political scientist, coined the term Soft Power which specifically focuses on the use of culture and historical relation in diplomatic ties. This was a relatively new methodology used in International Relations. These two powers are referred to as carrot & stick which acts like a tool in a different situation. Every country has some historical relation with other countries which makes easier to connect. Hard Power has been used by U.S.A in Iraq, Iran, and Afghanistan where through military & economic influence the U.S. tried to dominate political affair as well as the behavior of the state. Being witness to one of the oldest civilization in the world India has cultural relations & historical significance with almost all the countries. At times when we have dealt with Bhutan, Bangladesh or Island Countries in the Indian Ocean, we have used hard power and influenced their Foreign policy. Using the soft power in Indonesia, Canada, Afghanistan we have tried to make them our permanent allies. It was Operation Cactus by India which saved the Maldives from a coup by a group of missionaries in 1988. In thirty years, the relations of two once a “brother countries” are in the cactus. Though there are multiple factors, the immediate being the hard attitude of India since the declaration of emergency by the Abdulla Yameen government. The emergency was imposed in reaction to when the Supreme Court quashed the conviction of former President Mohamed Nasheed and eight other opposition politicians on various charges, including terrorism. India reacted to this emergency aggressively stating that India did not support such an emergency and will try to create blockade for the same. India delivered a strong snub by declining visit by the special envoy of Maldives to ‘friendly nations’. Another reason for fall is Maldives increasing proximity to China. GMR’s contract for developing International airport was canceled by Maldives government in 2012 which led to India retaliating by providing asylum to former President Mohamed Nasheed. In 2015, this assignment for the airport was given to China. Since then China has sent more tourists to the Maldives than any other country, helping keep the country’s chief revenue earning sector afloat. In 2015, Yameen’s cabinet passed a law granting land ownership to foreign entities that can invest $1 billion. This move is seen, and for good reasons, as a ploy to favor Chinese businesses. Last year, the cabinet approved a free trade agreement with China, a first for the Maldives. This standstill in relations saw the Maldives ask India to withdraw its naval airplanes from it soil. The last day for the visa of naval officers was June 30th. Still, no action had been taken to take off these officers. The Ministry of External Affairs has clarified that it is Ministry of Defence which is handling the matter but there has been no response from MoD till now. 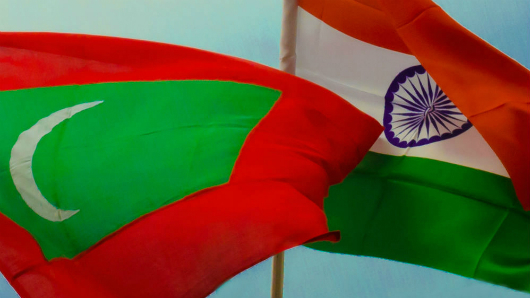 The Maldives has not granted visas to any Indian worker since February. Many of the job applicants who were waiting to join have been refused by their employers in the Maldives due to non-issue of visa by Maldives authority. Not only this, certain restaurants employing labor from South Asian countries have put a disclaimer on their call for the job, which says “Not for Indians”. Thus, it can be inferred that use of hard power has not helped India in case of Maldives. India Seychelles has relations which go back to 1980s. The two countries have shared mutual relations in defense, economy, and technical field. 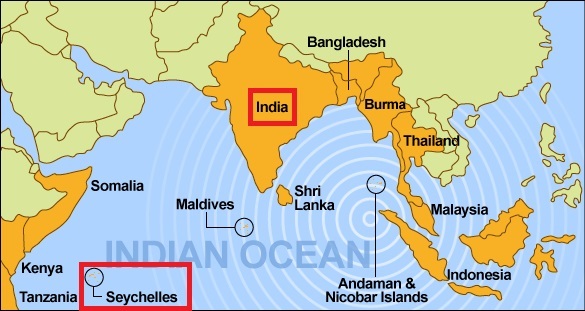 Though the two countries had shared fairly good relations, the recent breakage in agreement over the Assumption Island could have been a reason for fall in relations, but thanks to the soft approach of India, Seychelles remains a strategic partner in the Indian Ocean for India. India and Seychelles had signed a deal in 2015 to develop naval base on the Assumption Island, an island on the archipelago of Seychelles. But it faced a setback in March 2018, after the opposition parties of Seychelles refused to approve the agreement in the parliament owing to a leak of the agreement. The leak claimed that the Assumption Island has been sold to India and thus, attracted major opposition to the deal in local politics of Seychelles. In early June, the President of Seychelles Danny Faure refused to discuss the agreement with India and called off the deal. Seychelles announced the development of its own coast guard facility by itself instead of India’s military base. Thus creating problems for India which felt it as a loss of an important partner in the Indian Ocean Strategic Partnership. There was also China factor as it was believed that this loss of opportunity to India will be gained by the dragon. India’s use of soft diplomacy helped it as President Danny Faure in his visit on 25th June, agreed to the military base agreement again. India promised to provide Seychelles a credit line of $100 million to buy military equipment to build its maritime capacity. India will also hand over Dornier Aircraft to enhance maritime surveillance by Island Nation. Also, India has promised to build infrastructure which includes official buildings of Seychelles. Thus, India through its soft diplomacy and impressive style of a bargain has been able to revive a dead agreement, which is going to help India in gaining strong power in the deep Indian ocean and counter the narrative of China. Shashi Tharoor in his book Pax Indica says that “India’s claims to a significant leadership role in the world of the twenty-first century lies in the aspects and products of Indian society and culture.”. Soft power in India has untapped possibilities. The solution to present poor Maldives relation lies in this not so fully utilized power. Indians are the second largest expatriate community in the Maldives with an approximate strength of around 26,000. A majority of the Indian expatriate community consists of semi/unskilled workers. In addition, there are a sizeable number of professionals like doctors, teachers, accountants, managers, engineers, nurses, and technicians etc. spread over several islands. The India Cultural Center (ICC) in Male was inaugurated in July 2011, which conducts courses in yoga, classical music, and dance. Three historical mosques (Friday Mosque and Dharumavantha Rasgefaanu Mosque – Male’, Fenfushi Mosque – South Ari Atoll) were successfully restored by Indian experts from NRLCCP, Lucknow. Exchange of cultural troupes takes place regularly between the countries. Hindi commercial films, TV serials and music are immensely popular in the Maldives. With the recent introduction of the satellite television, the Hindi serials are also widely watched by the Maldivians. China has been able to perform diplomatic relations just by transferring indigenous Pandas to different countries. Thus, the road to better ties in a time when political crisis have not been handled by hard power shall be explored through commonalities. 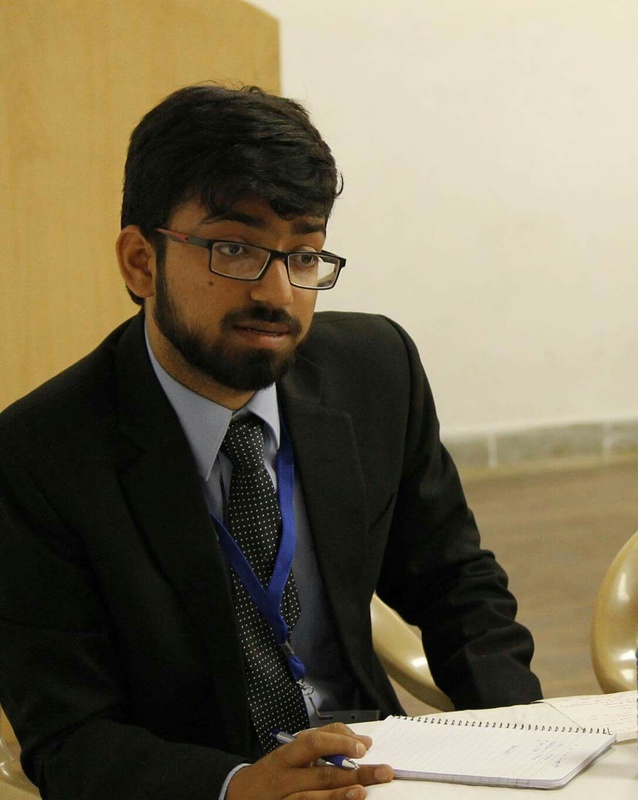 Pranav Tanwar is currently a 5th-year student at Faculty of Law, Jamia Millia Islamia, New Delhi. 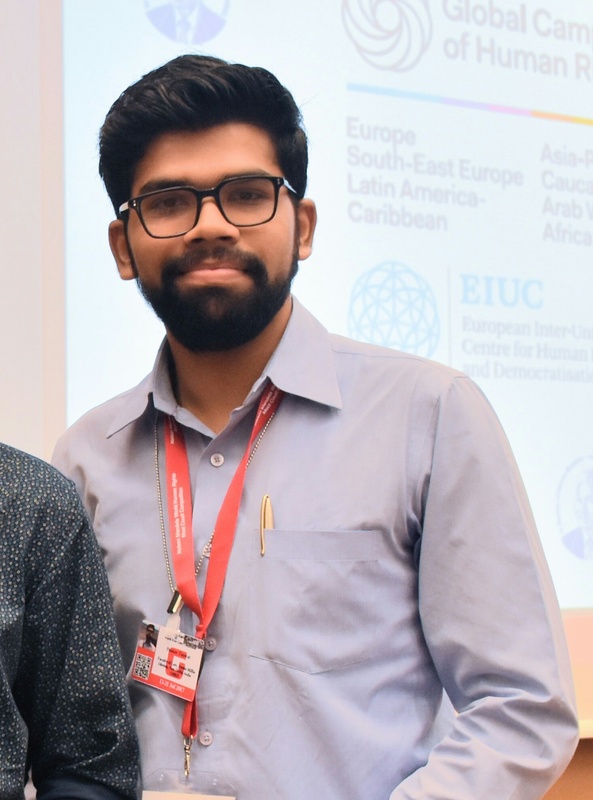 He has worked on the project of Internally Displaced People in India for Legal and Treaties Department, Ministry of External Affairs, India. He is interested in International Relations and Diplomacy.